These whirls are meant to hang high. The paper spring allows them to dangle and move with a breeze or when someone touches them. 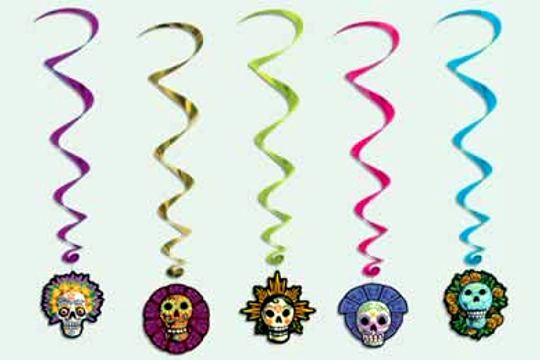 They'll add an easy festive tone to your Day of the Dead celebration. You might want to consider buying several packages and using them as fringe along the outside of your ofrenda table! There are five whirls per package, each measuring about 40 inches when dangling!